Submit a Blog or Guide! India is a land of myriad cultures and communities that co-exist and thrive in a splendid manner. Luckily, this multi-cultural aspect is visibly evident in different forms of Indian cuisine. Undoubtedly, India is a paradise for all types of food aficionados. Here, you can find many cities popular for their unique culinary delights. However, most of them differ only by their region-specific style of cooking and in food flavor. We have listed below 10 best Indian cities where you can truly satiate your cravings for best of local and exotic foods. Popular as the ‘Food Capital of India’, Delhi offers you a plethora of appetizing meals and snacks. 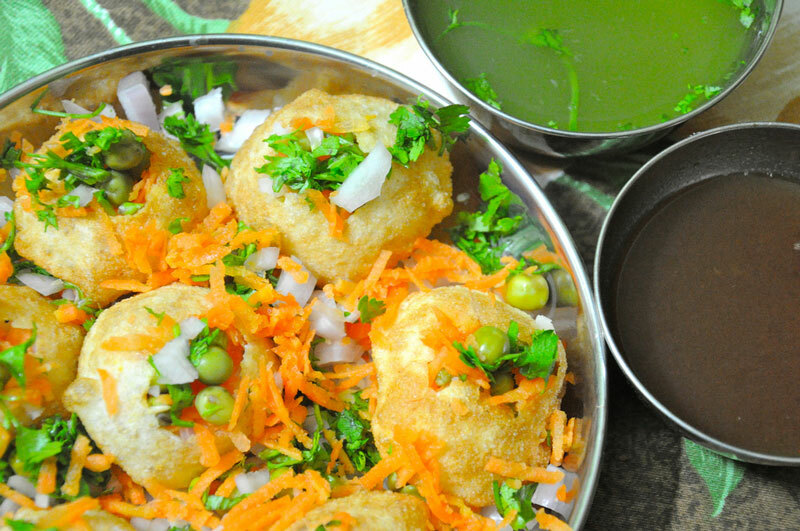 Here the street food can vary from the ubiquitous gol-gappasto Indianized versions of various continental dishes from Italy, China, Mexico etc. the people here are quite creative, as they can add tamarind syrup and curd to anything to make it Indian. For instance, if you are served a plate of Nacho Chaat, don’t be surprised, if Mexicans experiment with sweets, Delhi can experience with their food too! Unarguably, it is one of the best places inIndia to savor North Indian cuisine. From roadside stalls and walled cafes to high-rise restaurants, you can enjoy a multitude of gastronomical delights. Do try the scrumptious chholebhature, pani puri, buttery paranthas, grilled chicken and paprichaats. For people with sweet tooth, Delhi provides syrupy hot jalebiand lip-smacking gaajarkahalwaas delicious options. Jaipur is a city of royal grandeuris famous for its typical Rajasthani cuisine, especially, the ghee-topped Dal Baati Churma and spicy gatte. No matter if you are visiting the crowded tourist destinations or a few overlooked ones, the taste will be as authentic as it can get. Here, you can bite into the spicy and piping-hot pyazkachoriandlaalmaas. For desserts, you should try it’s awesome kulfis, ghevar, balusahi,gujia, and flavored lassi. Famous as the ‘City of Nawabs’, Lucknow brings forth a variety of legendary Mughlai and Awadhi dishes for, both, vegetarians and non-vegetarian foodies. 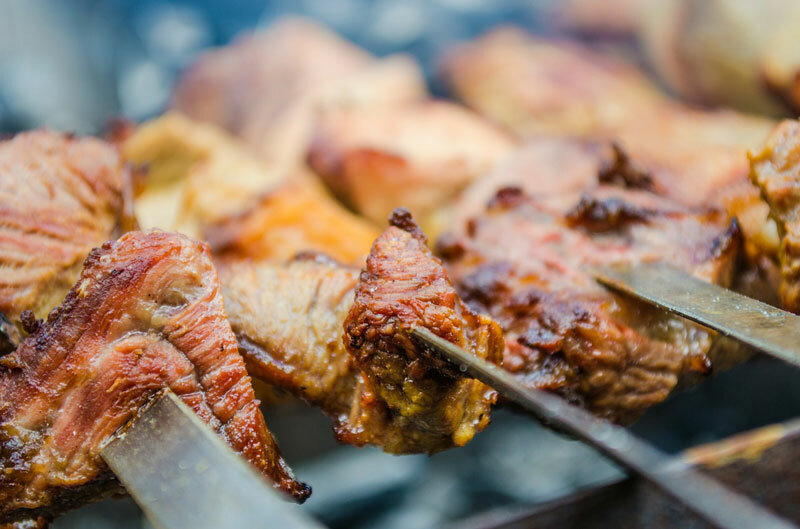 You can sample a variety of delectable kebabs such as Galouti,Seekh, Shammi, Botti, and Kakori. You can also have a bite of its different types of crispy paranthas, spicy kormas, and mouth-watering sheermal. You can splurge on rich, malaaikulfisand world-famous BanarasiPaan, if you are a lover of desserts. Nicknamed as the ‘City of Joy’, Kolkata is renowned for its fish-based dishes, to die for sweets, and roadside foods. From Hilsasarsobataand bhetkifish curry to ubiquitous egg rolls and mutton chops, the Bengal capital offers a wide range of tasty non-vegetarian goodies. 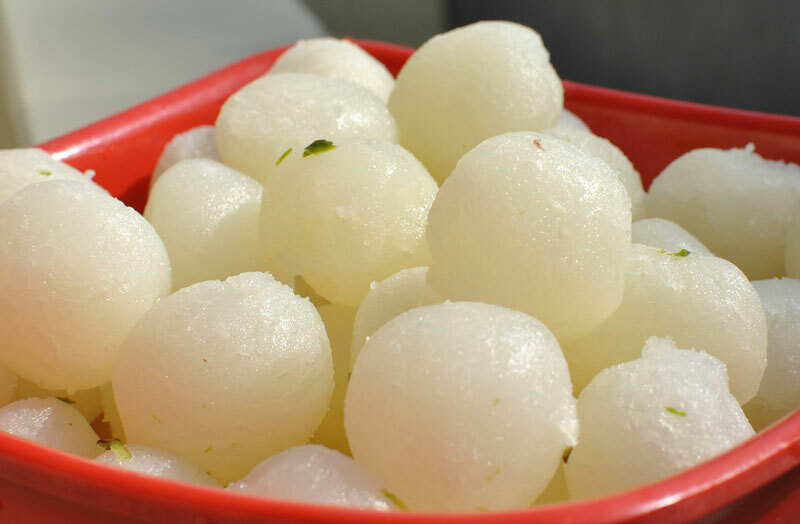 You will also find a wide range of sweets and desserts such as rassogulla, sandesh, mishtidoi, and paayeshto whet your appetite. In addition, the roadside food vendors will delight you with their hot and flavorsome puchkaas, jhalmuri, chowmein, kathi rolls, and cutlets. Known as the ‘City of Nizams’, this city is a melting pot of Turkish, Mughlai, and Andhra cultures. In fact, the local cuisine mostly consists of rice, meat, and spices. 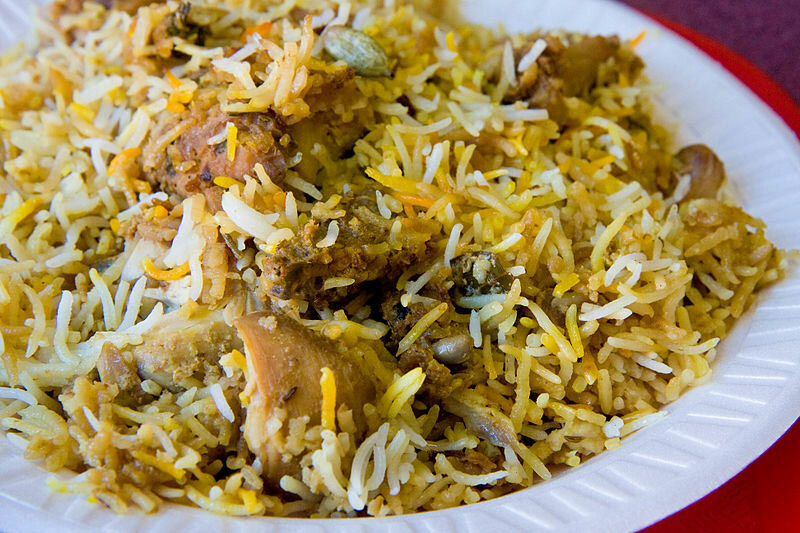 The best example is the internationally-famed Hyderabadi ‘dumbiryani’which is full of spicy flavors. You can also binge on street-side local delicacies such as tootakand kheema-samosa. You can also visit most beautiful tourist places in Hyderabad. f you want to taste all the dishes of South Indian cuisine at one place, then this Konkani town will not disappoint you at all. Located in Karnataka, Udupi will reward your tastebuds with its varieties of yummy dosas, idlis, uthapams, sambhar,rasam, and chutneys. Some of the local restaurants serve these delicious fares on a clean, green, and glossy banana leaf to give you an authentic South Indian experience! This beautiful resort city serves the best of, both, the French and the South Indian cuisines. If you are a diehard Organic food-lover, then you can try out the meals offered at the Auroville Ashram. To plan your trip to Pondicherry, check this out. This metropolitan city is well-known for its vadapavand Masalachai. You can happily tuck in street food fare such as vada pav, pav bhaji, bhelpuri, and sev puri, without worrying about nutrition, hygiene or cost. These food items are freshly-cooked, stomach-filling, scrumptious, and low-priced. In addition, there are numerous cafes and restaurants where you can sip Irani(Persian) chai, gorge on Chinese food, and try out other Continental cuisines. 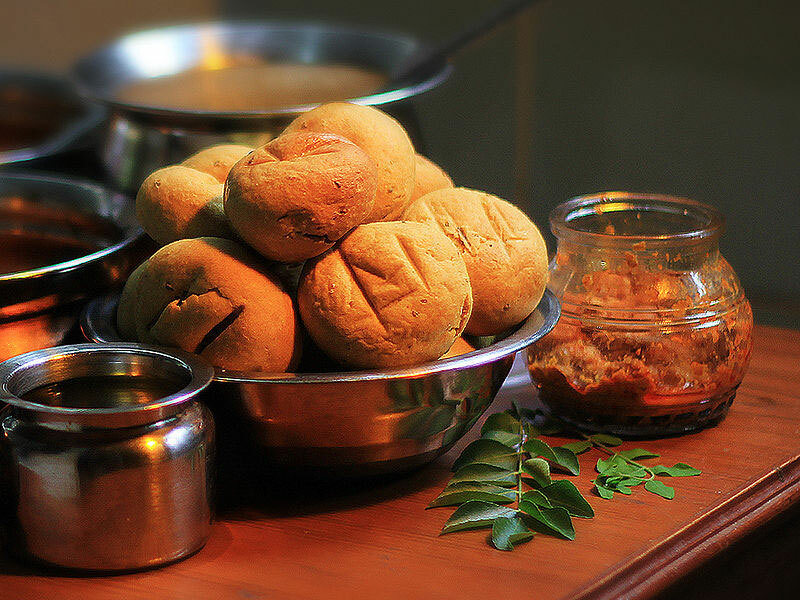 Don’t forget to binge on typical Maharashtrian dishes and yummy modaks! The Goan cuisine mostly consists of an array of seafood preparations and curries involving crabs, fishes, prawns, lobsters, and squids. Do munch on the tasty Goan-style sausages, Vindaloo, sorpotel, and Bebinca(a local sweet dish). Goa is famous for its beach parties and pub culture. So, don’t forget to intoxicate yourself with its favorite and local cashew-based drink,GoanFeni! This vibrant city offers all sorts of traditional and vegetarian Gujarati fare. Have a pick from various assortments of dhokla, khandvi, thepla, khakhraas, and fafdas. Indulge your sweet tooth in creamy Basundiand spongy khammans. You can also munch on crispy and spicy pakodas and chaats to enhance your local food experience! 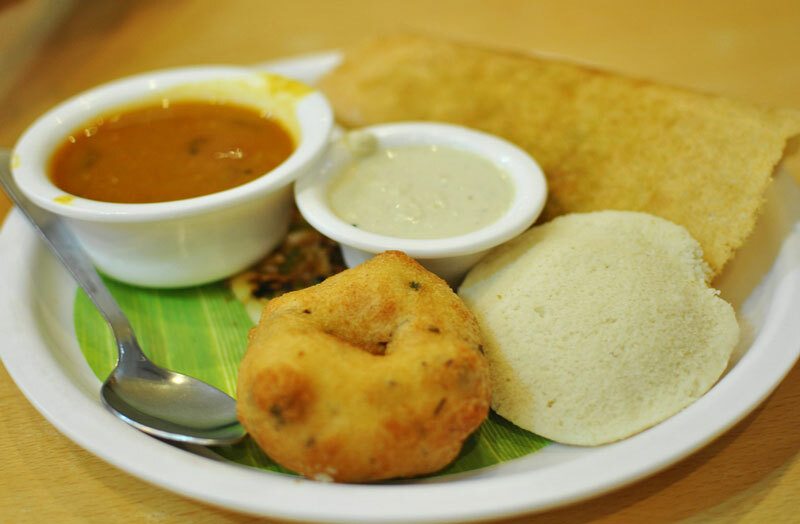 If you’re looking for another amazing food destination, then you must visit Kochi. You will definitely love the awesome Keralite food platter or Sadya. This traditional ‘thaali’contains nearly 28 dishes that are cooked using coconut oil. In fact, each town and village in India boasts of its own special share of exclusive recipes that are worth a try. Do share your memorable food experience with us, if you happen to visit these places! Rohit is a blogger at Trans-India-Travels. He shares his travelling experience her in his blog. He is a travel lover as well as food lover.